If there was one food (other than bread) that I could choose to live on, it would be crackers and cheese. What resulted was a creamy, not overly onion-y cheese ball that my mom said was even better than the one at the store. She even asked for the recipe. I think I have a winner here ~ Enjoy! Put cream cheese in mixer with flat beater. Cream the cheese until softened. Add cheese, onion, sauce, juice and sour cream. Fill with cream cheese mixture. Pack down tightly and cover with additional plastic wrap. Prior to serving, remove top layer of plastic wrap and place a plate on top of bowl. Grasp plate and bowl and invert; remove bowl. Remove plastic wrap and cover with sliced almonds. Let sit for at least 15 minutes and serve with a variety of crackers. *If you wish, you can use a large cookie scoop to form individual balls of cheese. Chill and then cover with nuts prior to serving. If you like a little bit of heat, try some Tabasco sauce or lemon pepper to taste. I absolutely love cheese balls. Seriously. But I have to say my favorite is the green onion/pineapple cheese ball. Delish!! Ooh! That looks so good. I love cheese balls! Thanks for the recipe! Happy New Year! 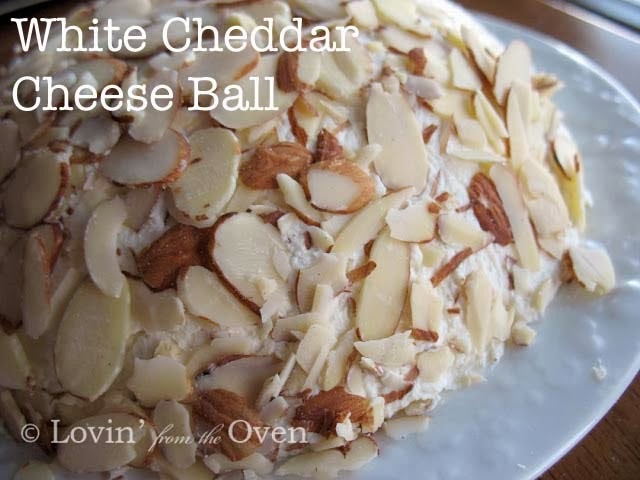 That looks like a great cheese ball recipe and I still need to make something to take to a New Year's Eve party. 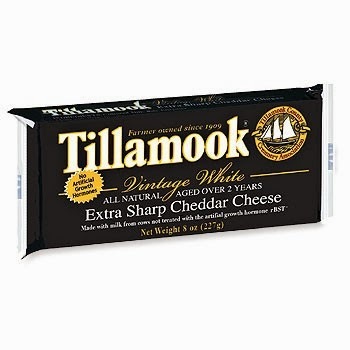 I love cheese!!! Your cheese balls sounds fantastic.